Puzzle Conserver Permanent is specifically designed for all Ravensburger puzzles, allowing you to glue and hang up your puzzle. The finished puzzle is then sealed and preserved so that the colours retain their brilliance. 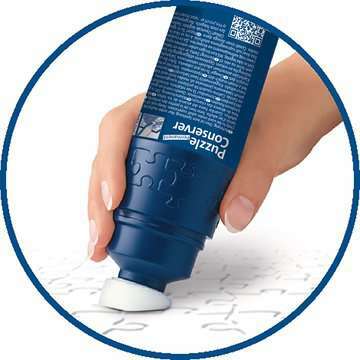 The liquid glue can be applied directly to the picture surface with the bottle’s sponge applicator for even distribution. After just one hour the conserver is dry and your puzzle will be ready for framing. 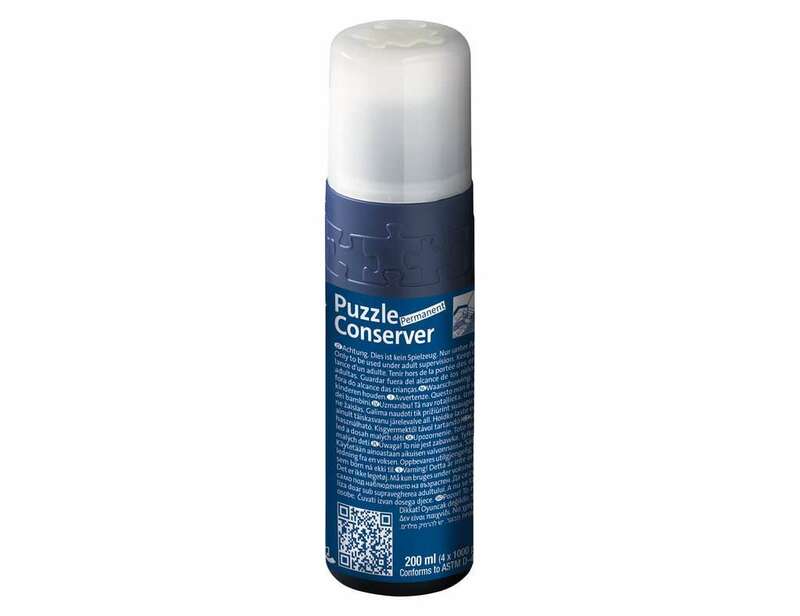 The Puzzle Conserver Permanent bottle contains 200 ml—enough for 8 puzzles with 500 pieces each or for 4 puzzles with 1000 pieces each, etc.